Bring the horses! 6 acres with this 4206 sq ft 2 story home in Kingsland with a 3 car attached garage with storage, and an in-ground swimming pool. 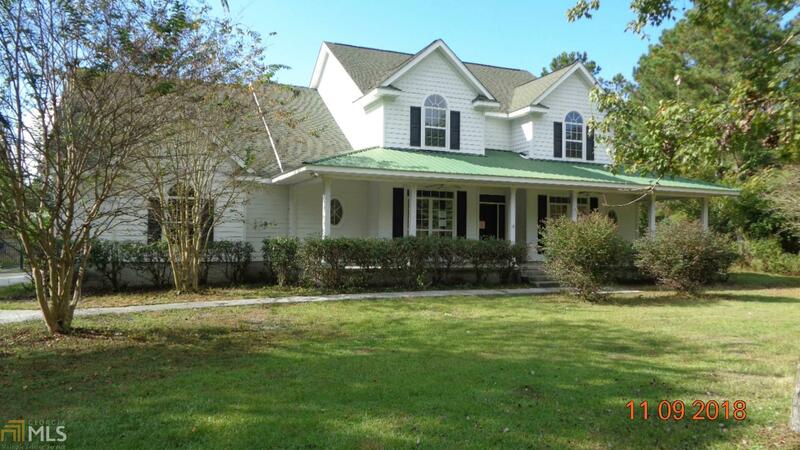 Other features include a 44x47 horse barn, 25x45 storage building, stocked pond, a Florida room, and a fenced lot. Located off of Clarks Bluff Road, this equestrian property is convenient to everything. Sold As Is. This property may qualify for Seller Financing (Vendee). Prior to seller receipt and approval of the full title package from foreclosure, title to the property may be conveyed via a quit claim deed. Proof of funds or pre-approval letter dated within the past 30 days required with all offers. Directions: Clarks Bluff Road To Powell St. Left On Powell. Right On Jody Lane. Left On Kayla. House Is On Corner Of Kayla And Shamrock Lane. Gate On Front Of Property.